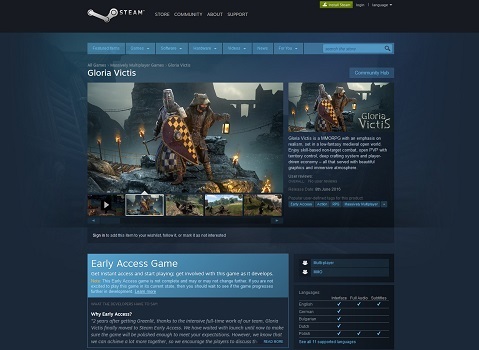 Gloria Victis fans will be pleased to hear that the game has finally moved to Steam Early Access. This ia big step for the developers of the game and players are encouraged to join in the fun and play as the developers try to find more ways to improve the gaming experience. Please remember that the game is currently in alpha stage and you may experience some issues or some of the features may not be implemented yet. Read the “Early Access” section above for details!